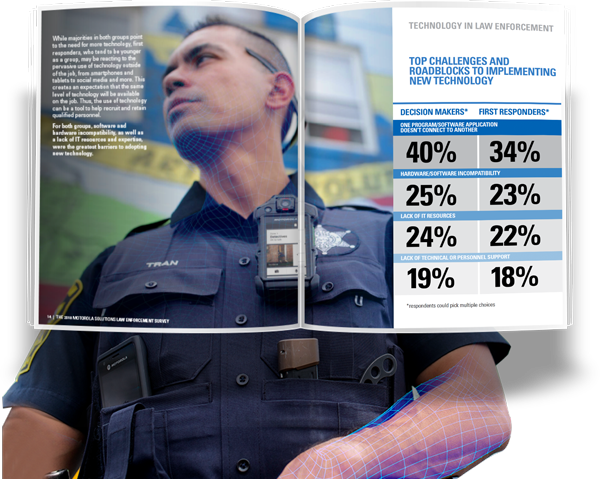 Download the complimentary 2018 Motorola Solutions Law Enforcement Survey Report and receive insights from more than 1,300 law enforcement officers. Please complete the short form to receive an instant download of the survey report. What role can technology play in breaking through the administrative, budgetary, recruitment, and retention headwinds to get there? 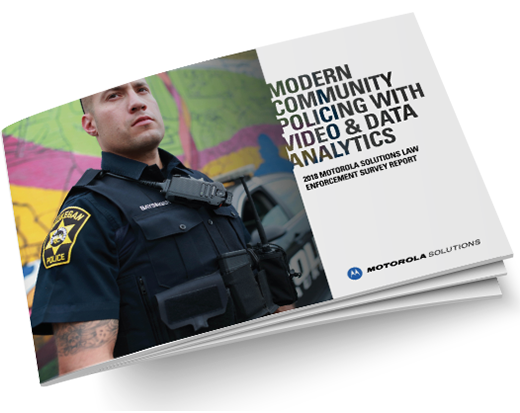 To find answers, we partnered with PoliceOne to conduct the 2018 Motorola Solutions Law Enforcement Survey. Download the report and dive deeper into key findings. Agencies must be able to equip personnel with the right tools from systems to software and mission-critical devices. Learn what respondents cited as the greatest expectations, roadblocks and benefits of implementing new technology. 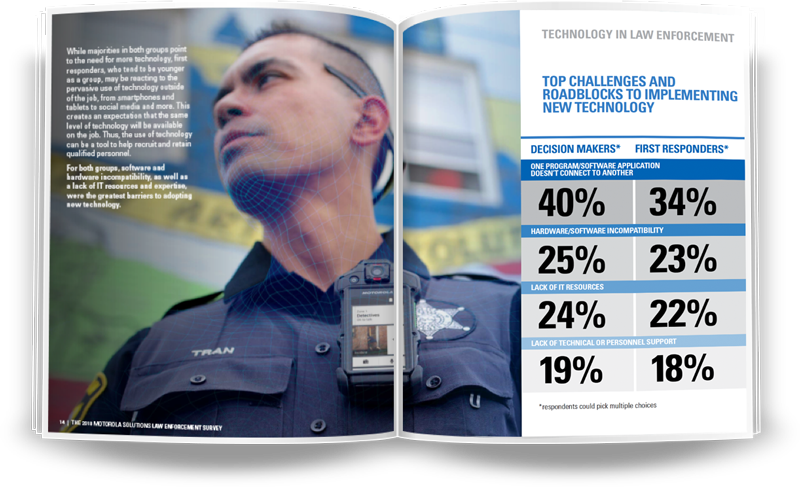 Discover what law enforcement officers cite as the most pressing issues they face in their jobs and what citizens are experiencing in their communities. What is today's adoption rate? Uncover the reasons why more and more agencies say they are implementing body worn cameras and why the rest have not yet invested.